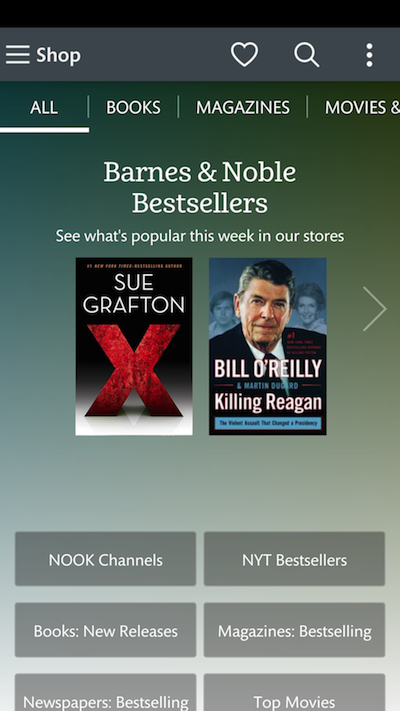 Get the brand new NOOK Reading App 4.5 for smartphones and tablets. Access over 4 million ebooks (including 1 million FREE books), magazines, newspapers, kids’ books, comics & more. 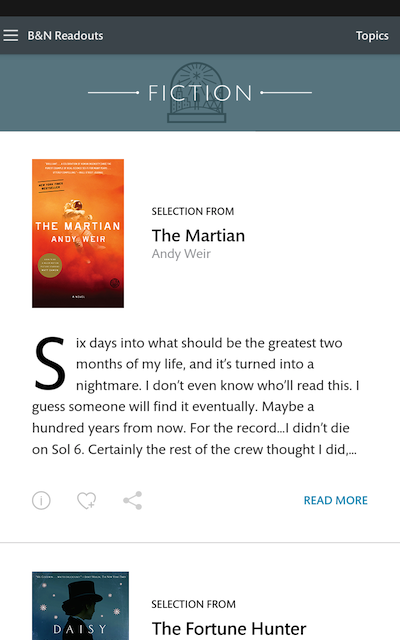 Get a sample eBook for free or try any newspaper or magazine risk-free for 14 days. 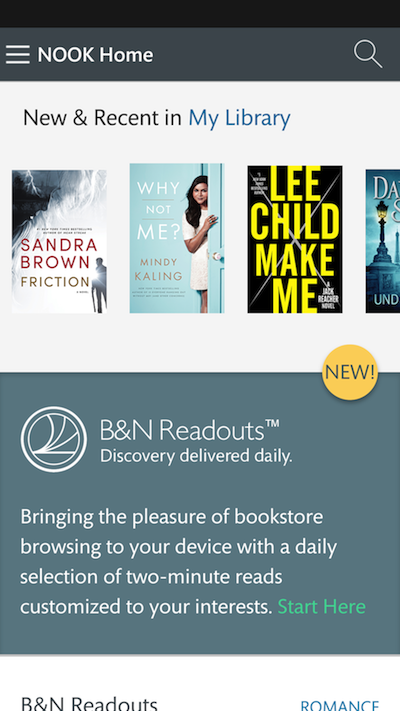 Enjoy B&N Readouts, a daily selection of free book excerpts and magazine articles picked by our editors to delight and surprise you. 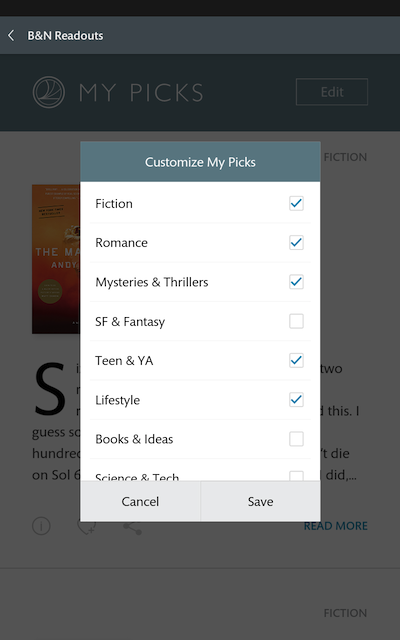 “As an eReader App, NOOK really is one of the best.”- Android Authority Key Features: • NEW: Browse B&N Readouts—customize to your interests and share your favorite quick reads on social, email, and other apps. • Enjoy thousands of kids’ interactive picture books and use the “Read and Record” function so that there’s no skipping of the story time, even if you can’t be there. 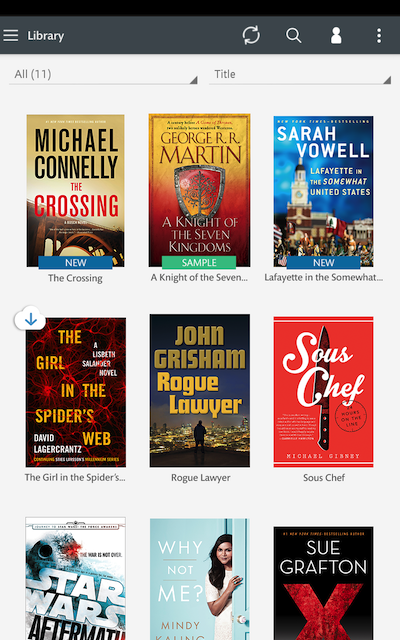 • Customer-favorite features from NOOK® tablets and e-Readers include adjustable font sizes and night mode. *NOOK account and credit card registration required.